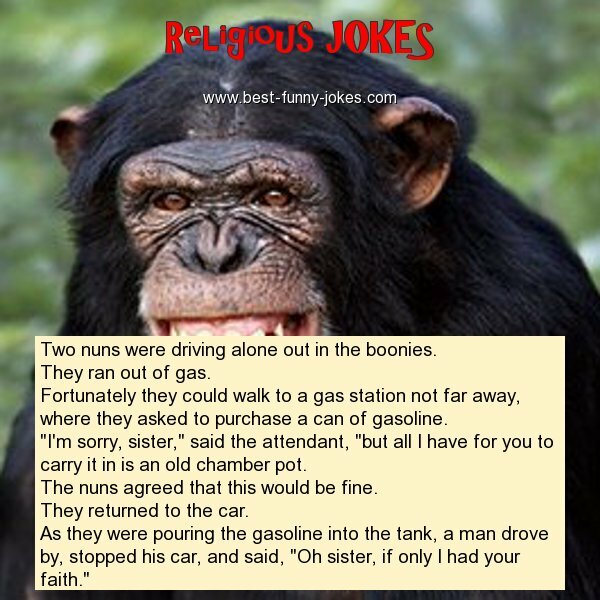 Two nuns were driving alone out in the boonies. Fortunately they could walk to a gas station not far away, where they asked to purchase a can of gasoline. "I'm sorry, sister," said the attendant, "but all I have for you to carry it in is an old chamber pot. The nuns agreed that this would be fine. As they were pouring the gasoline into the tank, a man drove by, stopped his car, and said, "Oh sister, if only I had your faith."